Join us for a School tour,birthday party, family celebrations or just a fun day out. 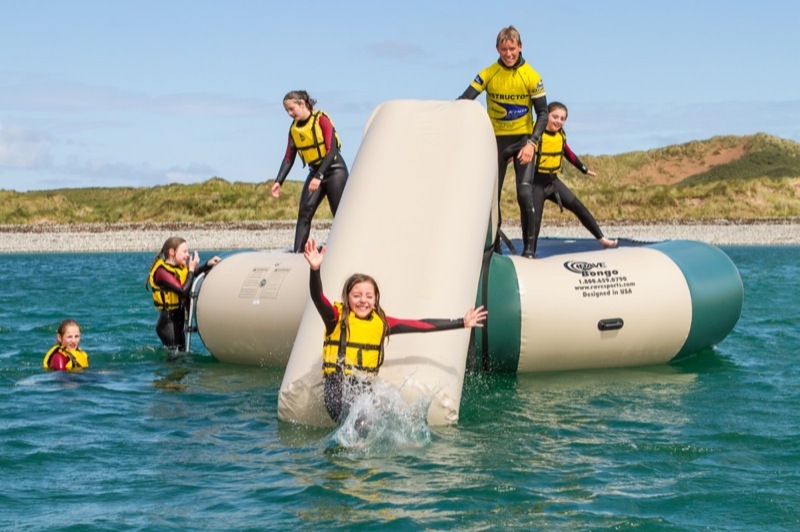 3 hour Aqua Fun and Surf's up activity package from €25 per person (all equipment included) 1.5 hour Aqua fun session from €18 per person (all equipment included) WATCH OUR VIDEO! Prices from €5 or €10 for all equipment including wetsuit and buoyancy aid! 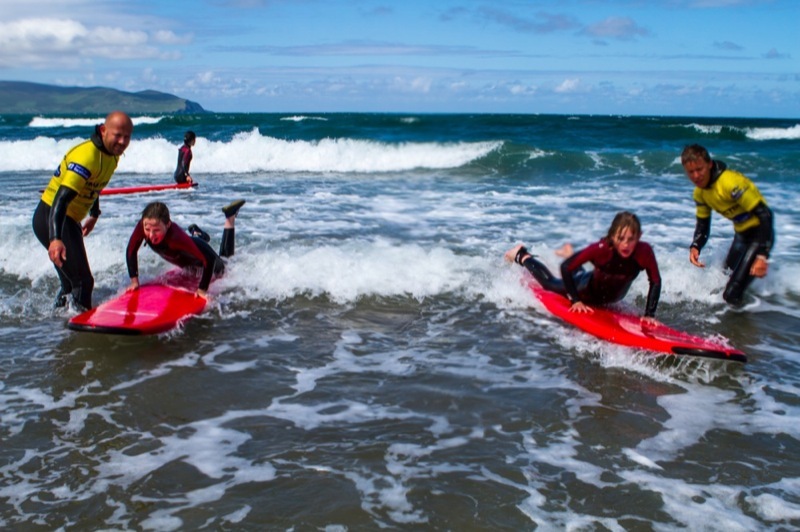 Our ever popular 5 day surf clubs are a great way to introduce youngsters to the exciting sport of surfing in a safe and controlled environment. These clubs run throughout July & August and every Mid Term break. Camps run Monday to Friday. Only €5 for 20 minutes of Great fun & energetic bouncing !!! We have 4 double and 6 single person "Sit on top" Kayaks. all available to rent. We have 9 Paddle boats and 10 Kayaks available for rental. 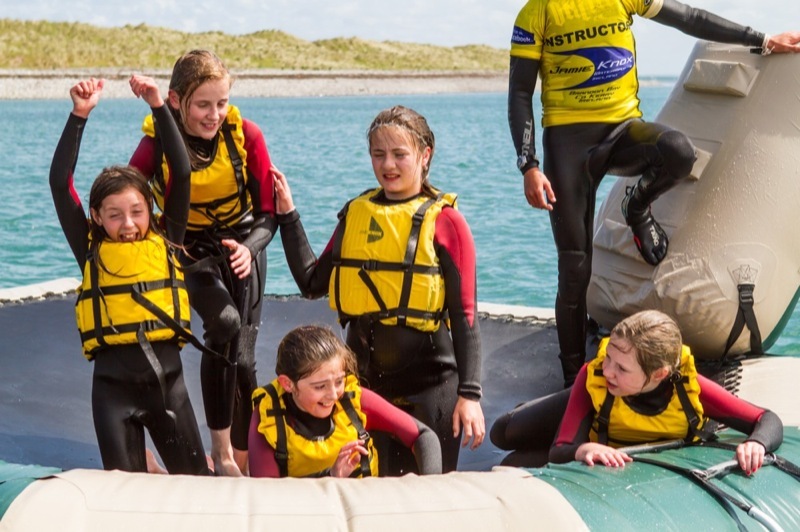 Our ever popular 5 day Windsurf clubs are a great way to introduce youngsters to the exciting sport of Windsurfing in a safe and controlled environment. Jamie Knox Watersports has been offering quality watersports tuition for the last 25 years. 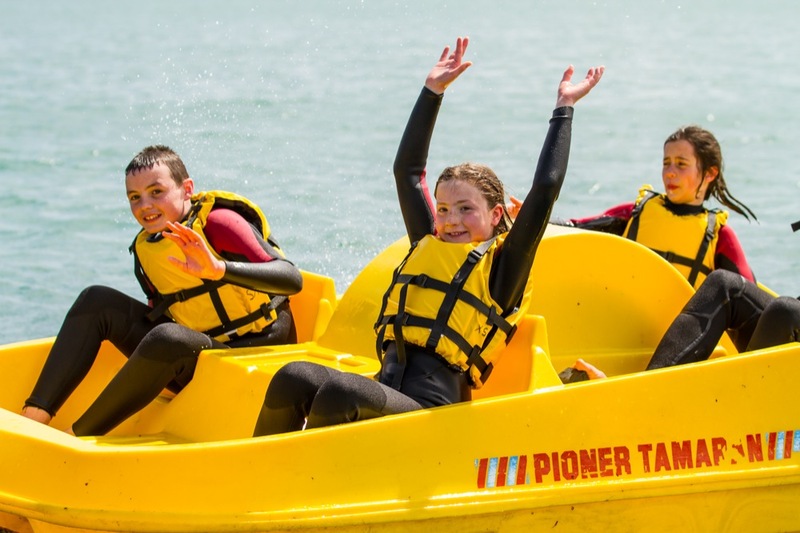 We offering a quality school tour surfing and watersport package which provides a healthy, enjoyable and unforgettable experience that will give confidence, understanding and an appreciation of the outdoor environment. Tailor made packages to suit your very own requirements available on request. Surfing is getting ever more popular in Ireland and with miles of suitable coastline that is no surprise. This introduction to surfing will teach the group how to paddle, catch a wave, stand up, and giving them the confidence to try it again. Safety on the water is paramount. 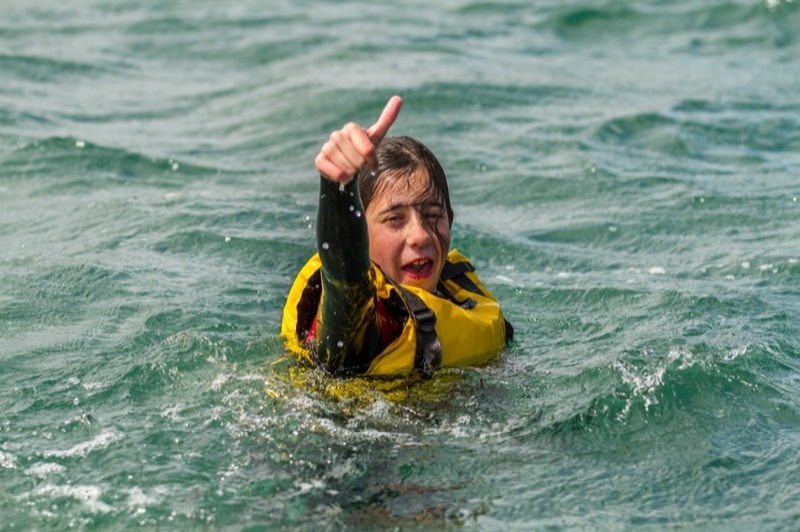 All activities are fully supervised by qualified staff, buoyancy aids are worn and we have a safety boat in attendance at all times during the aqua Fun sessions. 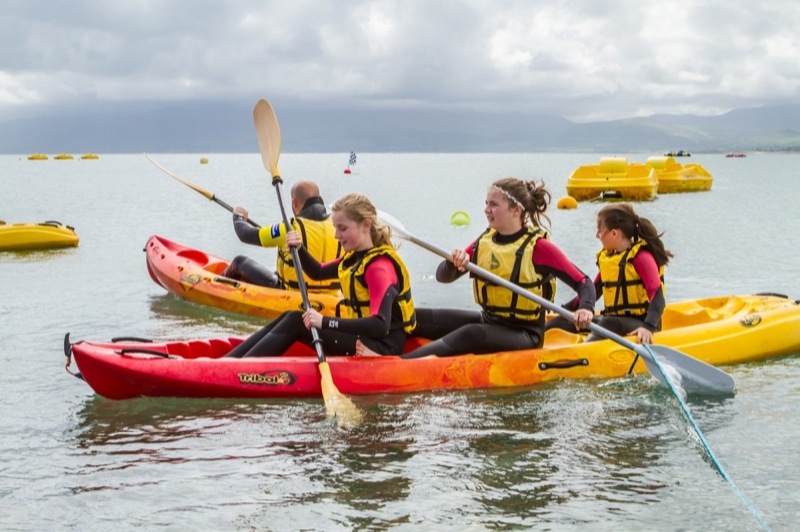 The centre is fully insured for all activities and is recognized by the Irish surfing association and Irish sailing association. Book early to avoid disappointment, due to the specialist nature of our product capacity is limited. Come along and have a school tour to remember. Can’t see what you want? Give us a call and we’ll be happy to talk through your need and requirements. We can offer a variety of activities for Youth groups of all ages with sessions lasting from 1 hour to 3 hours depending on the groups needs. All packages are tailor made for your group so please contact us to discuss your needs and requirements. All our sessions are fully insured and supervised and taught by Qualified instructors or boat drivers. We have been working with the following Youth groups and associations for many years. 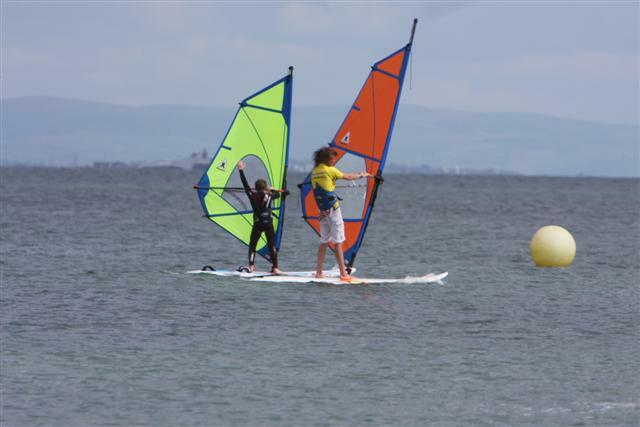 Learn to windsurf with Jamie Knox - ex professional windsurfer. A little more concentration is required for this activity with a 15 minute beach introduction and then it's onto the water to practice and learn.